The holiday season is a wonderful time to visit Door County. It is less crowded and the snow-covered landscape is picture postcard pretty. While your choice for waterfront lodging in Door County is closed for the season, there are still plenty of activities across Door County to get you into the holiday mood. Quaint Door County shops are the perfect place for your holiday shopping – and the complete opposite of the busy mall scene. You will find unique gifts for everyone on your list (and maybe something for yourself, too) in a relaxed atmosphere. Most retailers offer holiday specials and are decorated for the season to get you in the mood to complete your shopping list. Communities throughout Door County also host Christmas celebrations, including putting out a special welcome to Santa. Santa normally arrives on a sled, but not at the Door County Maritime Museum in Sturgeon Bay. On Dec. 5, he’ll arrive at the museum on a Coast Guard boat before boarding the historic John Purves tugboat to meet with children eager to share their holiday wish lists. Santa on the Tug runs from 10 a.m. to 1 p.m. and features inspiring holiday music. From mid-November through Dec. 8, the museum holds its Merry-Time Festival of Trees with dozens of beautifully decorated trees in its galleries. All museum visitors during the festival receive a raffle ticket and the chance to win one of the decorated trees. Ephraim hosts Christmas in the Village on Dec. 5 featuring free activities in and around the village hall, including fun family crafts, chili and soup and a meet-and-greet with Santa and the Door County Sled Dogs. On Dec. 12, Al Johnson’s in Sister’s Bay will host its annual Breakfast with Santa. Children enjoy a special breakfast, including Swedish pancakes, and get the chance to visit with Santa. Al Johnson’s also hosts a Swedish Julbord or Christmas smorgasbord on the evenings of Dec. 12 and Dec. 13. At a Julbord, dishes are eaten in a certain order and it’s usually finished off with a cup of Swedish Glogg, which is made with red wine, spices, raisins, almonds and orange peel. If you’re looking to spend some time outside, check out the Winter Wonderland Trolley Tour on Dec. 12. The trip includes a tour and tasting at a Door County winery, a sleigh ride and a fireside lunch at the English Inn. If you are still searching for holiday gift ideas, consider a gift certificate at one of the most family friendly resorts in Door County, WI. It’s not too early to look ahead to the fun you can have next spring, summer or fall. 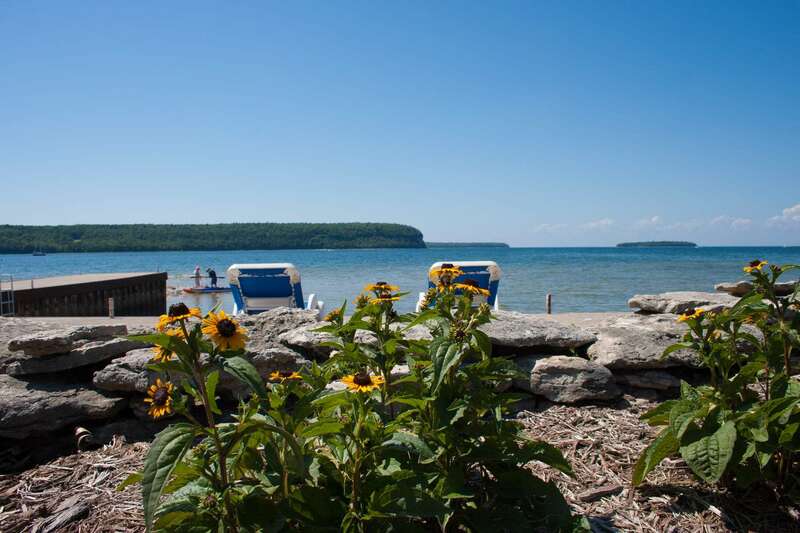 Ephraim Shores is the answer when it comes to waterfront lodging in Door County. Contact us at 920-854-2371 or 877-854-2371 or by email at [email protected] to arrange your next visit or give the gift of time at our Ephraim hotel to a family member or friend.